If you're my constant reader, you know that I don't have the habit of doing facial mask every week because I felt that it's very troublesome (although sometimes they are not). 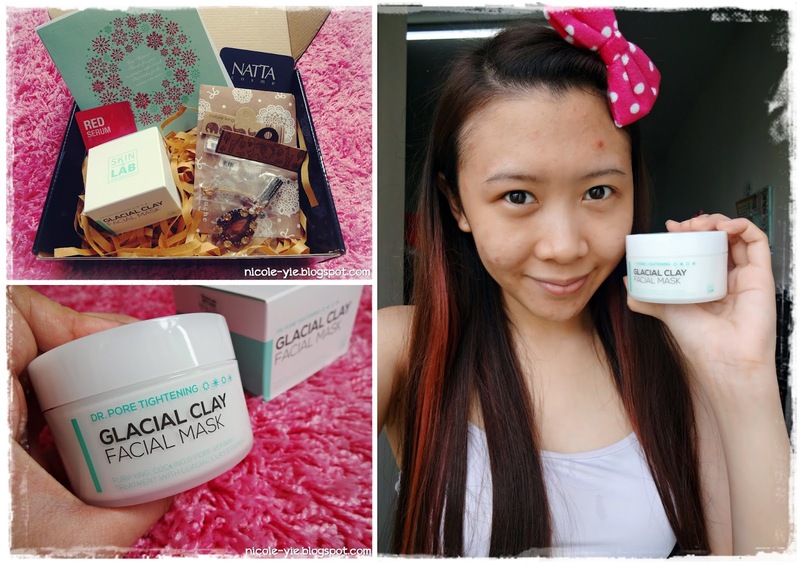 Few weeks ago, I was once again approached by Natta Cosme to make a review on a clay mask from Korea. I took this opportunity to force myself to feed my skin something better, and then share my review to you guys. 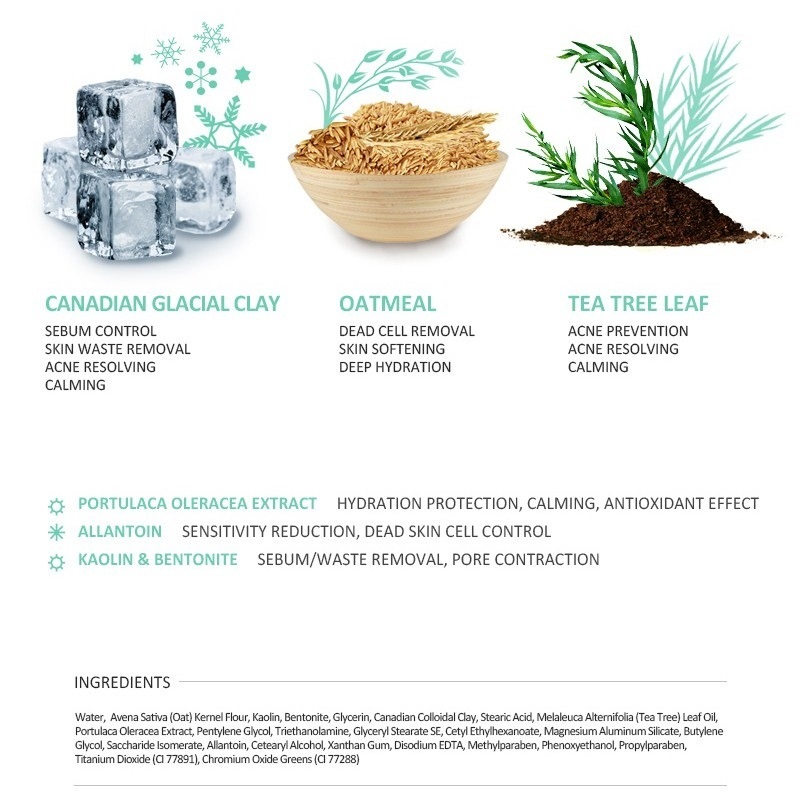 Introducing you the Dr.Pore Tightening Glacial Clay Facial Mask from SKIN & Lab. SKIN&LAB is a SPECIALIZED DERMA-COSMETIC BRAND, Developed for Healthier and Clearer Skin based on Long-time Experiences of our Authorized Dermatologist. SKIN&LAB's Dr. Pore Tightening Collection is designed to minimize the large, open pores & to control sebum and acne-development, sourced with artic ingredients. This Pore & Sebum Tackling Treatment Mask purifies the skin in & out, as well as minimizes the enlarged pores and firms the sagging pore walls. It has proven to solve the causes of pores and excess sebum secretion. Act together to treat against potential skin problem. The formula absorbs excess sebum and prevents the appearance of black heads while leaving cooling effect after. It's silicone free and will not clog or fill the pores. Apply enough amount to cover your entire face or targeted area after face wash. Avoid the direct contact to eyes. Leave the mask on for 10-15 minutes. Rinse with clean water. Follow with skincare routine. Do note that a minor Sharp-Pain-Like feelings can be detected while the mask activates its pore cleansing effect. It will decrease gradually after. Do not leave it with open lid after use because the mask dries up easily. Close up look for the mask on my face. For oily skin, it's recommended to use the mask 2 to 3 times a week, and 1 to 2 times a week for dry to normal skin. The mask is easy to apply, dries up quickly and not too difficult to wash away. It does feel tangling (sharp-pain-like feel) when I apply it the first time, but it decreases on the second time and third time I apply. Before and after using SKIN & LAB Dr. Pore Tightening Glacial Clay Facial Mask on my first time! I'm so surprise with the result after comparing the before and after images side by side! 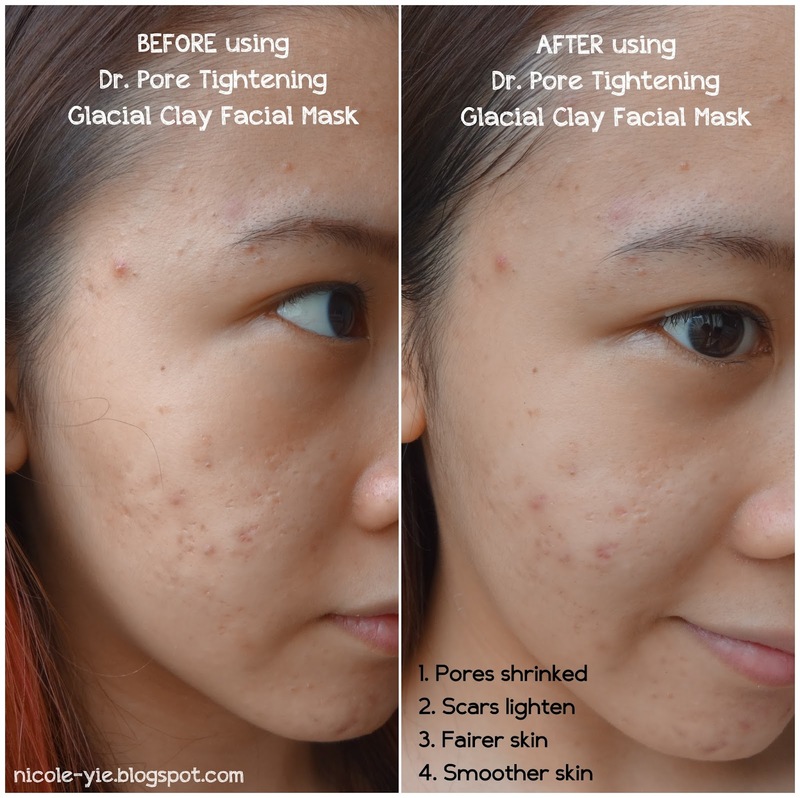 My face gone matte, pores shrunk, scars lighten, fairer and smoother skin, and a better skin tone! Besides, some stubborn blackheads were pulled out onto the surface after doing the mask, and they came off easily by just lightly squeezing them. In a nutshell, I'm in love with this mask! It has changed my habit on doing facial mask every week constantly! I strongly recommend it to everyone of you even if you don't have serious acne problem like me! Thanks! :) I'll follow back if you follow me. Can see the result, worth it! I really want to try this product but why this product are not be sale at any cosmetic shop.